The Maruti Suzuki S-Cross is a flagship product from the companys NEXA portfolio and also the most premium offering from the company. Currently, the Maruti Suzuki S-Cross is priced at Rs. 8.85 lakh to Rs. 11.45 lakh (ex-showroom, Delhi). The Maruti Suzuki S-Cross has recently crossed the 100,000 sales milestone in India. The numbers come from cumulative sales of both pre-facelift and the new facelifted S-Cross which was launched in India late last year. 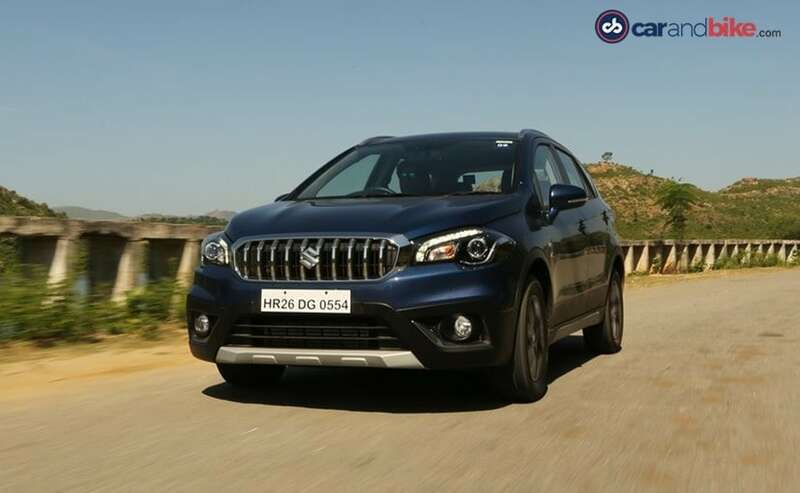 Right now, Maruti Suzuki S-Cross is the most expensive model in the company's line-up and it was just last month that the company updated with some additional features including rear parking sensors, speed alert system and more as standard across the range. Currently, the Maruti Suzuki S-Cross is priced at ₹ 8.85 lakh to ₹ 11.45 lakh (ex-showroom, Delhi). Commenting on the S-Cross achieving the new milestone, R S Kalsi, Senior Executive Director, Marketing & Sales, Maruti Suzuki said, "We are thankful to our customers for their love and positive response. S-Cross has clocked over 16 per cent market share in its segment and has helped us delight customers looking for a premium offering from Maruti Suzuki. We have created a highly engaging ownership experience of the S-Cross by introducing many best in segment features which are further complemented by its bold design and premium interiors." The Maruti Suzuki S-Cross was the first model to be launched as part of the company's premium dealership Nexa, and 36 per cent of sales for S-Cross' sales account for the car's signature Nexa blue colour. Currently, there are 329 NEXA sales outlets across the country in 186 cities. The 2017 Maruti Suzuki S-Cross will also come with a new interior, a redesigned dashboard, new upholstery and a new touchscreen infotainment system that supports Apple CarPlay and Android Auto with MirrorLink. On the safety front, the S-Cross facelift will offer dual airbags, ABS with EBD and ISOFIX child seat mounts as standard across variants as we have seen with other Maruti Suzuki cars. Additional features will include keyless entry with push start and stop button, rear parking sensor and rear camera. In terms of power, the 2018 Maruti Suzuki S-Cross continues to be offered with only the 1.3-litre diesel engine tuned for 89 bhp and 200 Nm of peak torque, while paired with a 5-speed manual transmission. There have been reports though of the 1.5-litre K-Series petrol engine from the Ciaz facelift making its way on the S-Cross, but the company is yet to confirm the same.